Janmashtami was celebrated on Friday, August 31, 2018 by the children of classes Nursery to II. 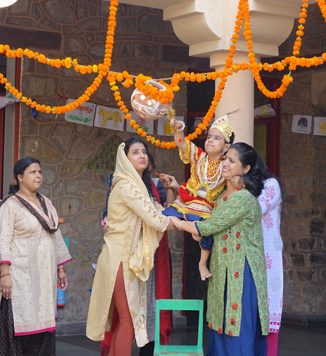 The children along with their teachers enacted the life story of Lord Krishna. The celebration concluded with the traditional 'Dahi Handi'.